Last year the Union County High School Yellow Jackets went 2-9 in football. This year they made a drastic turnaround and finished the season 10-4 and played for the Upper State Championship. That type of turnaround in one year is truly amazing. That type of turnaround since May is even more unbelievable. 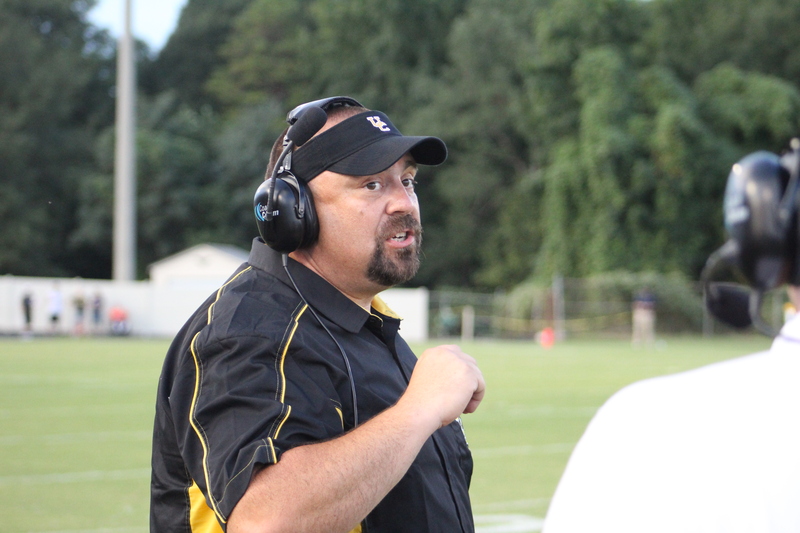 May 1st is when Coach Brian Thompson was hired as the head coach of the Yellow Jackets. Already behind, the Jackets pushed back the start of spring practice to give the new head coach time to get a staff in place and start installing his system. Thompson, a first time head coach, surrounded himself with a great staff and got the players to buy in to his system and believe that they could win, and win they did. The Jackets got off to a rough start losing to a very good Chapman team before earning coach Thompson his first win the next week against AC Flora. The Jackets would finish the non region schedule 2-3, already having won more games than the previous year. The Jackets would then go on to go undefeated in region play and earn the 2018 region 3 3A title. The Jackets would steamroll through the first two rounds of the playoffs, and then avenge the week zero loss to Chapman by knocking the undefeated Panthers out of the playoffs in the third round. To take a team that was 2-9, get a late start, have to hire a staff, and install a new system and get that team to 10-4 and the Upper State Championship is truly something special. That is why we are naming Union County Head Football Coach Brian Thompson the 2018 Fox Sports 1400 High School Football Coach of the Year. Thompson is truly deserving of the honor. I have had the opportunity to be around Coach Thompson a few times and he has impressed me each time. His knowledge of the game is great, but he also demonstrates true compassion and love for his players. Congratulations to the Union Yellow Jackets on the great season and Congratulations to Coach Brian Thompson on being named the Fox Sports 1400 High School Football Coach of the Year! !